Spacious Updated 2 Bedroom, 1 Bathroom Top Floor Apartment in Brighton Place is a Great Opportunity for Investment to live-In. 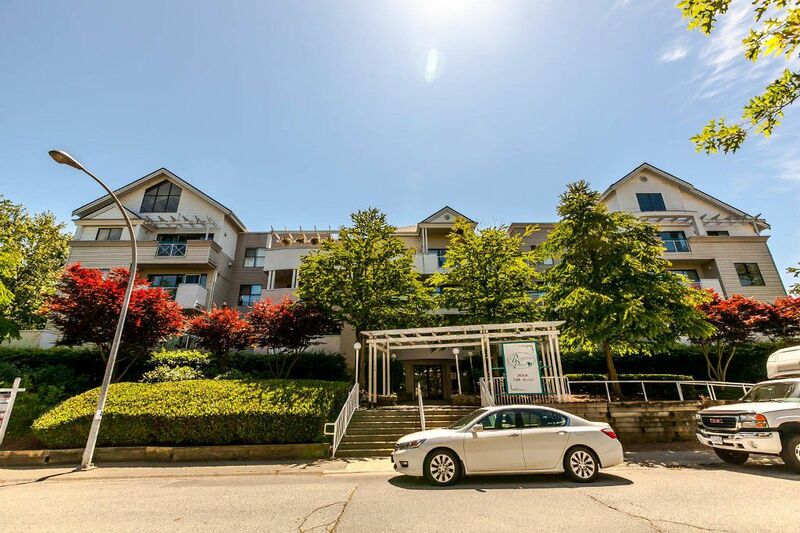 Spacious, tastefully updated 2 bedroom 1 bathroom top floor unit (with skylight) in Brighton Place is a great opportunity to live in or for investment as rentals are allowed. This super unit has been recently updated incl fresh paint, gorgeous engineered hardwood floors, attractive baseboards, updated appliances and more. Attractive tiled entry. Spacious kitchen with breakfast bar, loads of cabinet and countertop space and updated stainless appliances. Entertainment sized dining room and living room with gorgeous engineered hardwood floors, cozy gas fireplace and door to very spacious balcony. 2 bedrooms including spacious master bedroom with walk-in closet. Separate laundry room with updated washer and dryer. Recent reno's in building inc. interior paint, carpet, and roof! Convenient location close to shopping.